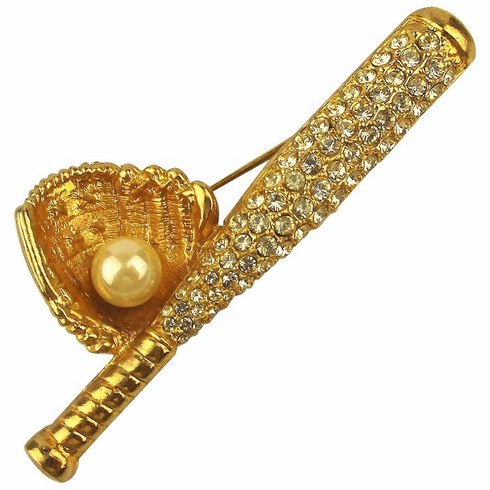 These gold baseball bat and ball pins are great for any baseball fan. Measuring appx. 2.5" long, these sparkly pins feature crystals which make them really stand out. Unique design, genuine Austrian crystals.